What if there was an online “thrift shop” with new and like-new designer and name brand items? Well, ThredUp is a thrifter’s dream when it comes to online thrift shopping. I have been a loyal customer since 2014, buying and occasionally selling clothing, shoes, and accessories for myself and my kids. Read on to find out how to find the best deals and earn FREE, yes FREE shop credits! Create a ThredUp Account and Download the App. I prefer using the ThredUp app on my phone or iPad, I’ve found it to be easier to navigate and scroll through than the website. Once you have created your account and logged in, you are ready to start shopping. You have a few options for how to search and filter items. Refine Your Shopping Experience I prefer to refine my searches by category, brand, size, and price and go from there. I like that you can select multiple brands, sizes, and price ranges. For example one of my recent searches”dresses, J.Crew, my size, price $10-$25″ resulted in 100+ results so I further filtered the results by category and selecting style “midi-maxi”. I do this because I don’t always have the time to scroll through 100’s of items. Notice that one of the above dresses has a price in red. All prices listed in red are final sale items, meaning no returns (don’t worry, I’ll explain returns in a bit). I buy a lot of final sale items, I know, I’m living on the edge being all risky and taking style chances! Not really, I only buy final sale items from brands I wear often and that I know for sure will fit. Most purses are also final sale. 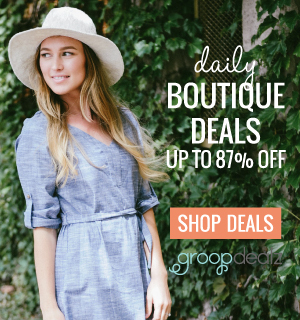 If you like great deals, ThredUp has a new section called Basement, as in bargain basement. In my opinion, this is where the best deals are to be found; the catch is that all Basement items are final sale. Most of the items in this section are there because they are missing tags or have signs of wear. I recently bought a Limited classic trench coat for $8 and an Express faux fur vest for $10, see below. 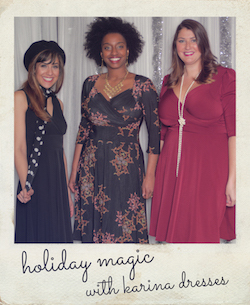 I’ve digressed a bit, let me share my number one tip for ThredUp. It’s the same advice I would give someone when thrifting in a brick and mortar store, read more about thrifting tips here. If you even remotely like something, add it to your cart immediately! You can always remove the item if you change your mind, but I cannot tell you how many times I have been looking at an item and when I go to put it in my cart I get the message that it is unavailable. From my experience, whatever you add to your cart is there for 24 hours, so you have some time to think about it. My next piece of advice would be to create several “Personal Shops” for yourself. These shops can be filtered, refined , and narrowed down in the same way you can search the website; but with the added bonus that you will receive an email when any items that meet your criteria are added to the website. For example I love Kate Spade purses and have a personal shop for Kate Spade handbags. I know this helped me score the cute mint cross body bag pictured below! Shipping & Returns I find the shipping fee to be reasonable, $5.99 or free on orders of $79 or more. I really like ThredUp’s return policy. I’ve ordered a few items that just didn’t work for me or my kids. All returns must be made within 14 days of receiving your order. You need to log in to your account on a computer to start a return. Under “Account” select “Order Returns” and follow the prompts to select the items and then print out your shipping labels, attach to the package and drop off at the post office. I always select the option to be given store credit for returns, otherwise you will be charged shipping fees. Selling and Consignment I have ordered 13 “Clean Out Bags” from ThredUp, one should be arriving in the mail any day now . I know many of my friends on Instagram have commented that they were disappointed in the payout amount and how few of their items ThredUp selected. Remember, anything that ThredUp does not accept is donated to charity. From a seller’s standpoint you need to consider a few things. First, you will make more money selling your items on eBay or other online platforms, but do you want to deal with the hassle of taking all of the photos, posting, measuring, shipping, etc.? Second, you need to carefully inspect all items you want to sell to ThredUp and review their policies, which items they need, the brands they do and do not accept. I almost always pay the $12.99 Return Assurance fee to get back any items that ThredUp doesn’t accept. You must request this when ordering your clean out bag. Below is my Clean Out Bag history for reference. Yes, I have earned $583.48 from selling to ThredUp. You might be asking yourself, how did she do it? My biggest payouts have come from selling my purses, handbags, designer jeans (think Paige, Joe’s, 7FAM, COH), and shoes. These items were priced to sell at $60 or more which then makes them “consignment items”. The payout is better for consignment items, you can adjust the selling price by logging into your account online, however you must wait 14 days after a consignment item sells before you can use the money to shop or transfer it to your PayPal account. I think many people have been dissatisfied with selling to ThredUp, for the same reasons they love buying from ThredUp! The quality standards that make ThredUp such a great place to shop, make it very difficult to sell to them. First, everything you sell needs to be relatively current, within the last few years. Also, as I mentioned above, ThredUp is selective in the brands they accept. You also need to really consider the condition of the items you are trying to sell. They need to be in like new condition – no signs of wear, stains, tears, you get the idea. Refer Your Friends & Family For FREE Credits Once you have a ThredUp account, you are given a referral link. Click here to sign-up and receive a $10 credit. The referral process is how you earn free credits. You then email your friends your referral link, share on Facebook or other social media, or even text the link if you are using the app on your phone. If you choose to sign up on the link I provided above, I also receive a $10 credit (do not feel obligated to sign up)! You then earn credits each time a new customer uses your link to make a purchase. Curious…what do you do with the items that are returned to you? Sell? Donate? I give them to my students or to local charities. I prefer knowing where my items are going. I just sent a bag off today and have a couple of days to decide…but that sounds like a good plan! I don’t think that a red price means that an item is final sale. When an item is final sale, it’s marked “final sale” – and I see plenty of items with prices in red that are not labeled final sale. This post is two years old. ThredUp’s website has changed significantly over the last two years. Thanks for your input.